My warriors have come out, delivered, set free . . .
“This is the season where My warriors will be able to do more harm to the kingdom of darkness, than ever before. As they have gone through the valleys, they have come out trusting Me, their great Warrior. Many for the first time in their walk with Me, have experienced Me as their personal bravery. They have awakened from the slumber that this world system lulled them into. Now they truly begin to see My Word work in their affairs. I have been a Father, a Provider, a Counselor, a Healer, a Friend and a Lover to them. They have stretched themselves during the difficulties that they were challenged by, and found out that the Greater One keeps every promise. I have overshadowed them, so that the darts of the wicked one did not destroy them. They arose and soared higher than they thought was possible, acquiring new levels of faith and more sensitivity to My presence. They chose to stay disciplined, as they went through the fire and the flood. My warriors have come out, delivered, set free, loosed and changed. Stronger and braver still, against all of the forces of the enemy. They do not fear, or run from adversities, but uses the storms of life to cause them to mount up higher. For I, the LORD have strengthen them and hardened them to difficulties, and with each one, it has become easier for my warriors to face the next battles. This bravery and strength was born out of those hard places as they trusted in El-Gibbor. Oh, I have taken such delight in these warriors! They have learned to do My Word at all times, yes, even when it was not easy. Joy, is found in My house at all times, and my warriors have found deeper joy in Me. Trusting Me has brought a calm assurance and great joy. Now they know Me, truly know Me as the Faithful One. The enemy is shaken by this revelation. My People humbled themselves and depended on Me, not in their own ability or in their strength. This season is a great spiritual battle and they are not neglecting their full armor. They have stood face to face against the forces of darkness and withstood them by My grace. They must not turn in retreat, for cowards will perish. Every warrior that is truly Mine, can not love this world, nor his own personal comforts more than their obligations to this great armed forces that they have enlisted in. Truly, the arm of flesh will disappoint and let down every time. This is a serious season for serious warriors. I have given them a brave and courageous spirit and a persistent heart. They are determined to keep faithful to the end. With this kind of heart, an increase of revelations will flow into their lives. This committed remnant of believers shall come forth, a greater degree of the miraculous in their personal lives. The enemy thought he would have you on the run, yet, after all of the smoke clears, there you stand. Standing in the power of your God and His personal bravery. 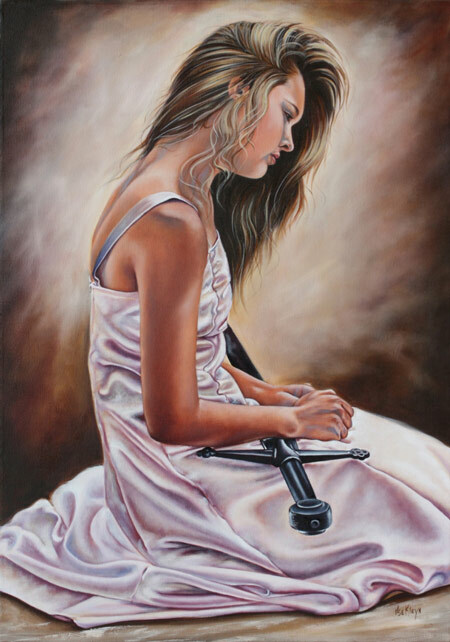 My brave courageous warriors who walk in the fear of their God and in the revelation that there is no weapon formed against them that will prosper. “Through God we shall do valiantly [a force; an army; wealth, virtue, valor, strength; a great host, might, power, strong war]; for it is He that shall tread down our enemies,” Psalm 60:12. “But no weapon that is formed against you shall prosper, and every tongue that shall rise against you in judgment you shall show to be in the wrong. This [peace, righteousness, security, triumph over opposition] is the heritage of the servants of the LORD [those in whom the ideal Servant of the LORD is reproduced]; this is the righteousness or the vindication which they obtain from Me [this is that which I impart to them as their justification], says the LORD,” Isaiah 54:17. “The LORD God is my Strength, my personal bravery, and my invincible army; He makes my feet like hinds’ feet and will make me to walk [not to stand still in terror, but to walk] and make [spiritual] progress upon my high places [of trouble, suffering, or responsibility]!” Habakkuk. 3:19.